The WINKLIX app development team has achieved a good rank in android app development , as we are master in art of developing android app . With our endless and creative development process , our young team is able to deliver you the rock awesome mobile application , that offers a unique user experience time after time . At Winklix , we just don’t take interest in projects that we are not passionate about , as it is useless of developing an old app idea application . We are keen on taking projects with makes our idea flourish through creativity , innovativeness and user friendly design . 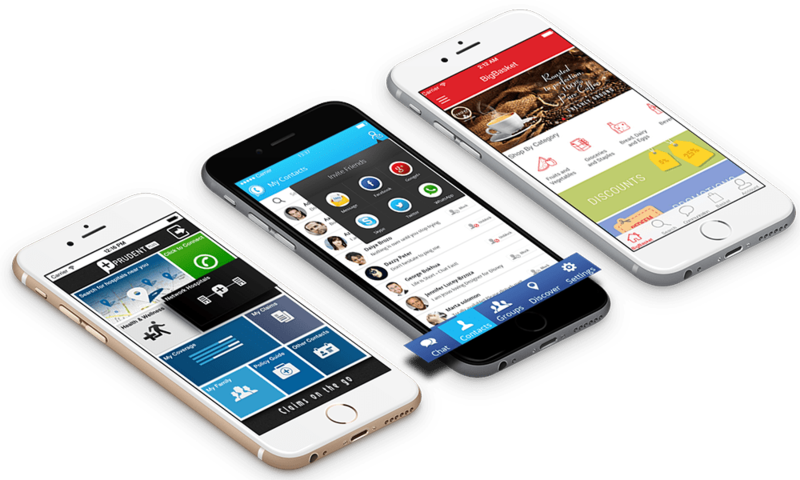 Through latest innovative technology implementation , design loveable by user and bug free functionality has step us into leader in mobile app industry . Today with over 1.2 million app has been flooded in Android App market popularly know as google play store , we know how to harness your app to give it a perfect look and stand unique in crowd of app store to give it a success . Winklix has a years of experience in google play marketplace , to polish your app in such a way that it not only shines in app market , but achieve transformation of ideas of your app into reality in such a way that user love to have that app in their phone . Android and iPhone is the leader in market with big B brands , that’s why our team have command on both the platforms . Our team is greedy for developing an Android and iPhone app , with well rounded and throughout process . The key to success in app industry is making a simple user friendly app with simple design . Every nice product wants a trademark, and this can be wherever stigmatization comes in. Once operating with our purchasers to know key attributes of user interaction, product practicality, and desired client expertise, our team identifies the distinctive parts of your whole, which might be translated into a large vary of collateral and brand styles. As with android app design , easeability and efficiency are key to success and open the lock in app market , thus transforming the app into user friendly one . As soon as you hand over the project to us , our team provide you blueprint of the app . We have to play with user interface after completing blueprints and wireframes of the application . We believe is custom tailored design to harness your app , highlighting the key aspects of your blueprint . Usually for an app development company , at this stage they launch the app , but in Winklix we try to add some spices into the food to make it more yummy . We do some special animations and touches at this stage . Our app development process follows on the concept of ‘ agile agency ‘ . We build apps in quick 2 weeks time frame in which we only focuses on your app building with 100% focus and attention on your app . We do bi-weekly checking of the app to insure bug free delivery of the application , and at the same time helping client to review and feedback about their app .Winklix job is to take your car keys and start running it with awesome design and strategy . At Winklix , we create fine blueprints and design strategy , to keep you step ahead from your competitors . Our team focuses on making app that user loves coming back and keeping application in their smartphones. We try to make the app which are always remembered by app users , as we take every new project as a new challenge . Right form A-La-Carte to full site development , our team creates polished app , helping turn your dream app into reality .